This was the birthday request from the birthday girl! Chocolate cake with Chocolate frosting. I decided that a Devil’s Food Cake with a Chocolate Butter Cream Frosting would be the perfect amount of chocolate-ness for the chocolate lovers in my home! 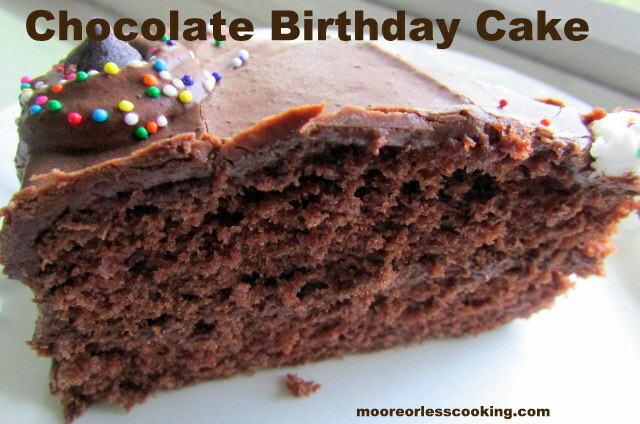 This is a rich chocolate cake, that will end your chocolate cravings! Preheat oven to 350* F.. Butter and lightly flour two 8-inch round cake pans. Put cocoa, 3 Tbsp sugar, and 3 Tbsp water in small pan and cook over low heat until smooth and blended. Remove from heat,and stir in mil, set aside. Cream butter, add vanilla and 1/2 cup of sugar. Beat in egg yolks, and then add cocoa mixture, beating well. Mix flour, cream of tartar, salt and baking soda together, add to first mixture, and blend until smooth. Beat the egg whites separately until they are foamy, slowly add remaining 1/2 cup sugar, continue to beat until the whites are stiff but not dry. Spread in pans and bake for 30-35 minutes, test with a toothpick until it comes out clean. Cool in pans for 5 minutes before turning out on racks. In a the bowl of an electric stand mixer, fitted with whisk attachment (paddle attachment works too. Whip butter on moderately high speed until very pale and fluffy (nearly white in color), about 6 - 8 minutes, occasionally scraping down sides of the bowl. Sift in cocoa powder then add in powdered sugar, 3 Tbsp milk and vanilla and mix on low speed until combined, scraping down the sides of the bowl as needed and adding up to 1 tbsp additional milk to thin if desired. Increase mixer to medium-high speed and whip mixture until pale and very fluffy about 4 - 5 minutes, occasionally scraping down sides of the bowl. Now you’re making me want dessert and it’s after 11 and I am drooling over this in bed! Thanks for sharing it with us at Foodie Fridays…hope to see you again this week! 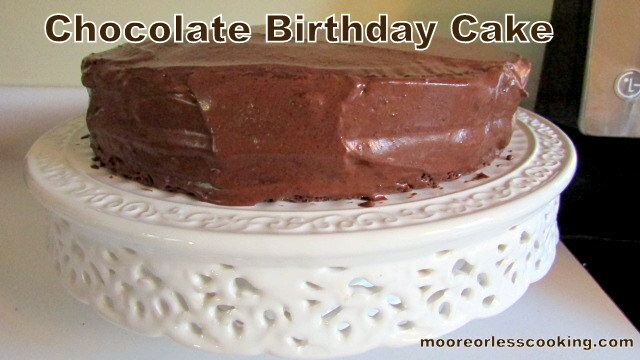 Thanks so much for sharing this gorgeous Chocolate Birthday Cake blog post with us on #PureBlogLove! I can’t wait to see what you have instore for this Thursday!